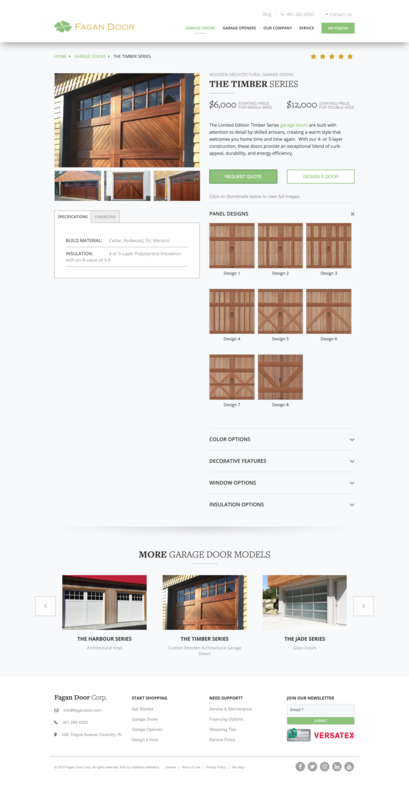 Website integrated with the Drupal 8 content management system. 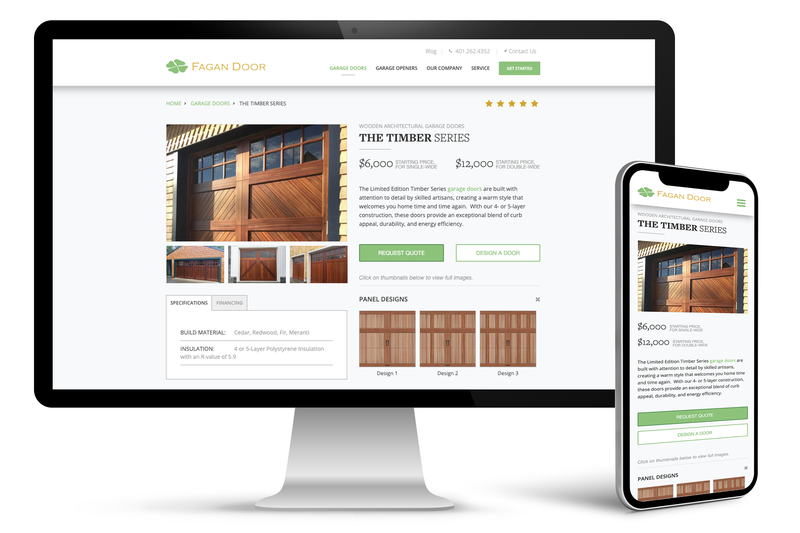 Core features include: garage door listing and product view, mobile responsive layout, video gallery, and blogging platform. Website utilizes backend search engine optimization strategies and user-facing inbound marketing techniques to generate conversions. To view this example live, click here.